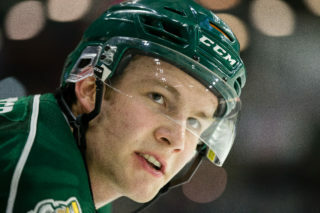 The Silvertips battle the Portland Winterhawks in the first of ten meetings for the regular season … the Silvertips are 74-66-14 lifetime against Portland and 40-31-6 all-time in downtown Everett … the two teams met last season in the second round of the WHL Playoffs and the Silvertips defeated Portland, 4-1 to advance to the Conference Championship series … the Silvertips are playing on the back end of three games in three days to end the first weekend of WHL play … they will take a five-day break before their next game, Saturday, Sept. 29 in Tri-City. 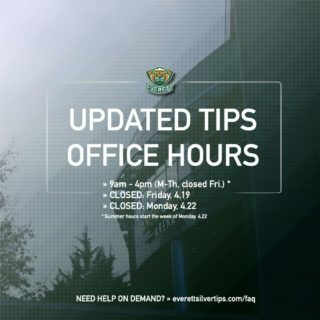 VAN 3 – TIPS 1 (9/22/18): A 27-save night from Vancouver goaltender David Tendeck along with a multi-point night from Vancouver defenseman Dylan Plouffe helped lift the Vancouver Giants past the Everett Silvertips, 3-1, at A.O.T.W. Arena before 5,894 fans on Saturday, the Silvertips home opener for the 2018-19 regular season … with two banners hoisted to the rafters by member of the returning Silvertips squad, Connor Dewar scored the only Silvertips goal with 1:01 left in the second period … Dustin Wolf made his second consecutive start in net and turned in a 26 save effort. Giants’ right-winger Jared Dmytriw scored the game-winning goal at 10:12 into the third period during a 4-on-4 stint, putting the Giants up 2-1, prior an empty net goal scored at 18:43. 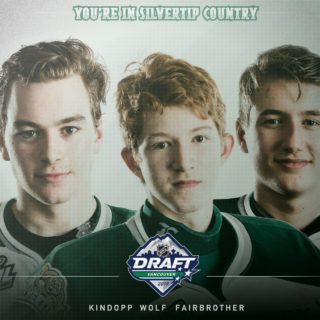 TIPS TITLES: The Silvertips enter this season as defending Western Conference champions (second time in franchise history) … they won their sixth U.S. Division title in 15 years … they had 99 points last season, third highest in franchise history. 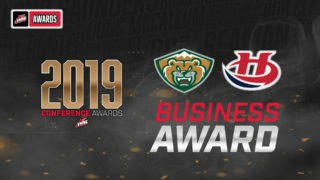 SPECIAL DELIVERY: The Silvertips scored on their first power play opportunity of the season on Friday night in Vancouver … they delivered a 5-of-5 effort on the penalty kill that evening and have gone 8-of-9. 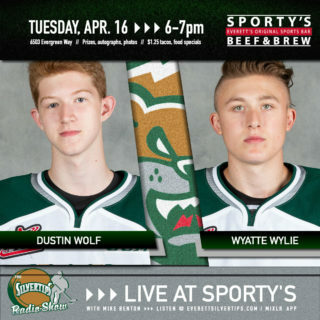 HELPING HAND: Wyatte Wylie had an assist in the second period on the Tips lone goal Saturday night, giving the Tips defenseman two assists in his first two games.